Many food trucks crank out consistently great meals, but lack the seating and atmosphere of a restaurant. BellaTrino seeks to offer both. This stylish, oversized truck features a display kitchen with walls of glass panels, and at the center, a wood-fired oven that heats to 1,000 degrees and can crank out a neapolitan-style pie in just over a minute. 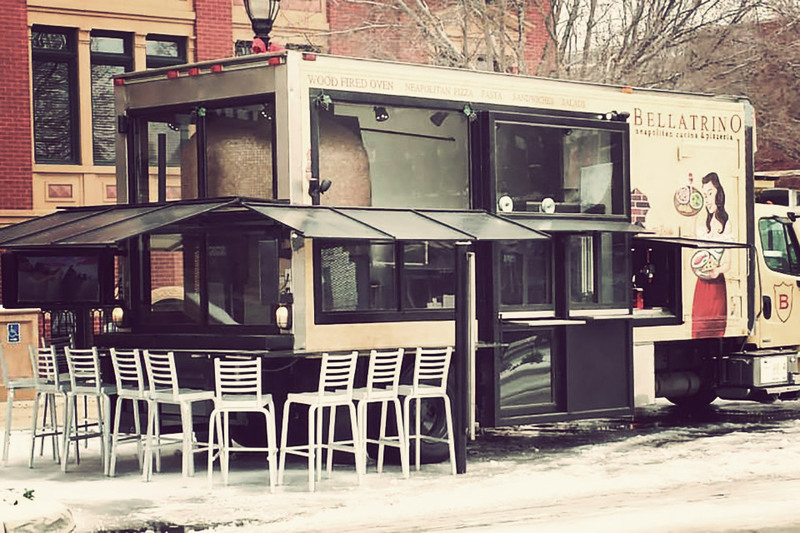 As if the tasty pizzas weren't enough, this truck has another surprise in store — a small bar on one end of the truck, giving you a place to sit down that rivals any casual sidewalk cafe. 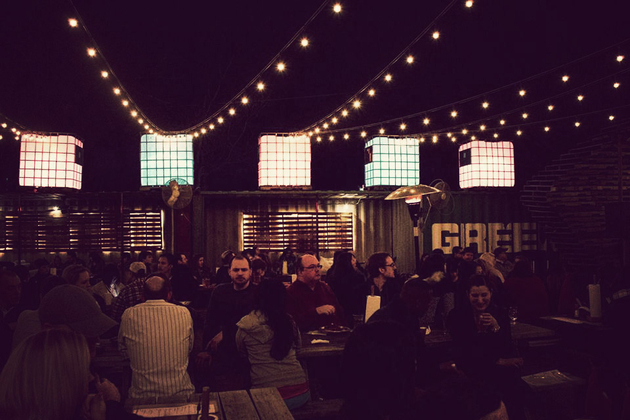 We've seen plenty of places built from shipping containers, but few warm our hearts quite like a killer outdoor bar. Which is exactly what you'll find at The Foundry. Seated next to downhome eatery Chicken Scratch, this casual bar offers up simple, strong drinks and a serious selection of craft beers — many on tap — as well the usual big-name brews and live music every weekend. Comfortable, affordable, and fun — it's hard to ask for more. 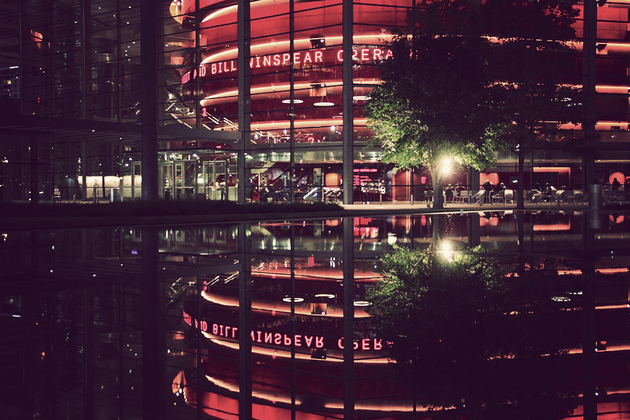 You don't have to be a fan of opera to enjoy a trip to the Winspear Opera House — although it certainly doesn't hurt. Located in the heart of downtown's Arts District, this horseshoe-shaped venue sports a stunning design from Norman Foster that features a bright red core that reflects wonderfully off the water features outside thanks to a glass facade that lets the color shine through. Inside, you'll find 2,200 seats in the main Margaret McDermott Performance Hall, as well as a grand lobby, cafe, and Box Circle-level restaurant. 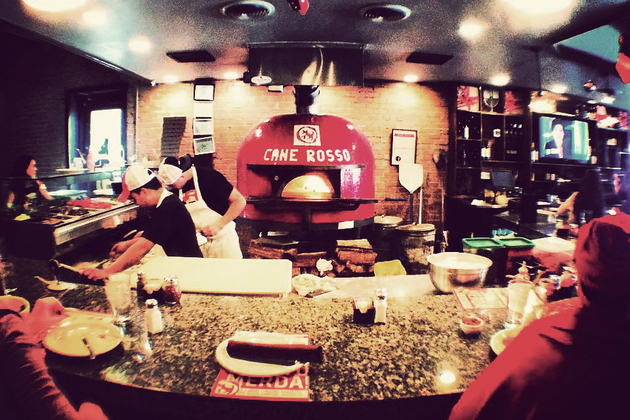 Discover a slice of Italy in the middle of the Longhorn state at Cane Rosso. 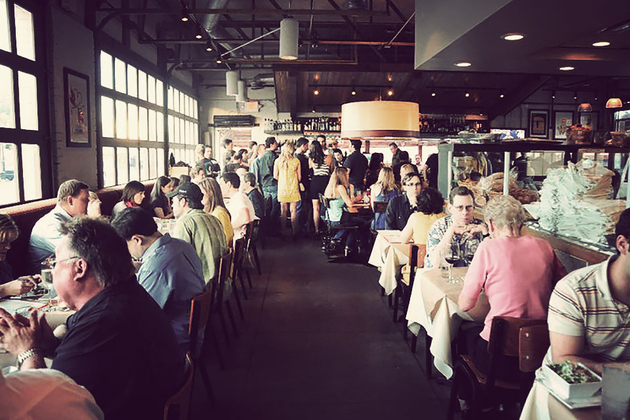 Located in Deep Ellum, this upscale pizzeria serves up authentic Neapolitan pizza made according to the strict guidelines of the Associazone Verace Pizza Napoletana. It starts with fresh dough made in-house using all-natural "Double Zero" Italian flour and cured meats imported from Salumeria Biellese in New York, which are then cooked in a hand-made wood-burning oven — imported from Italy — by a chef that grew up in Naples. In other words, it's as close to authentic as you're going to get on this side of the Atlantic, whether you're at the original location, in White Rock, or out and about at their mobile oven. It doesn't matter what sort of gift you're looking for — artwork, fragrances, flowers — you're likely to find something at Grange Hall. 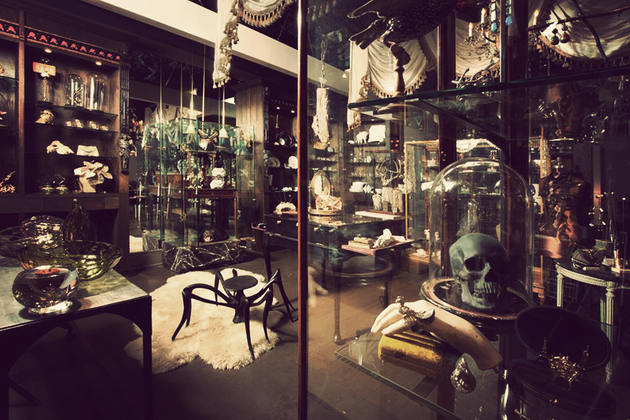 This curious Uptown shop offers a bit of European flavor in the middle of Texas, with unique objects that can border on the bizarre but tend to fall on the right side of the weird line by adding a touch of whimsy to the proceedings. Oh, and the store is also home to Urban Flower, arguably the best flower shop in the city and supplier to many of the area's best hotels/restaurants/party hosts. 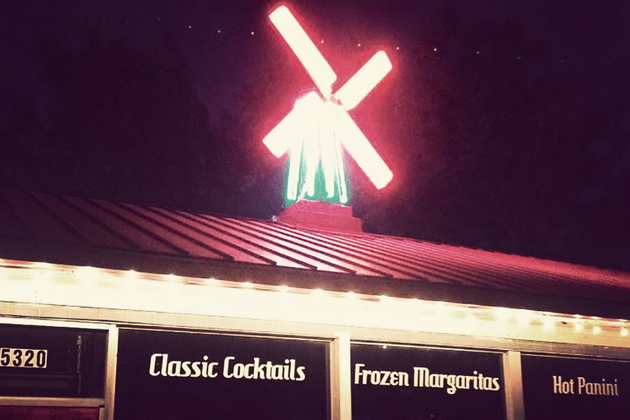 A clean dive bar sounds like an oxymoron, but that describes the Windmill Lounge pretty much perfectly. This Oak Lawn establishment is low-key from the outside — well, if you disregard the neon windmill on top of the building — and eclectic on the inside, featuring a smattering of mid-century tables and couches. Outside you'll find a carpeted front patio that's ideal for watching the time pass, and the jukebox is always a favorite. But the real draw here is the drinks, which are cheap — including $3 highball specials — and crafted with extraordinary care, using a surprisingly upscale and diverse selection of liquors and house-made syrups. In other words, take the best parts of a cocktail bar, combine them with the best attributes of a dive, and you'll have something similar to this. We love golf. We love quality, American-made goods. So it's no surprise that we're big fans of Pebble + Pine. 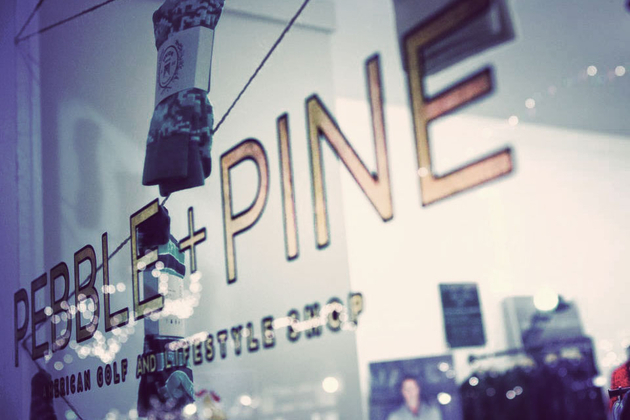 Located in the Bishop Arts District, this new-ish store features 100% American-made golf and lifestyle goods, including golf lessons, books, and equipment, as well as cologne, apparel, Hill-Side neckwear, accessories, Baxter of California grooming products, and leather goods. With a laid-back, DIY-style showfloor and beers available for sipping while you shop, it's a great place to hit on your way to or from the course. You'd expect great treatment at The Ritz-Carlton Dallas — it is a Ritz-Carlton, after all — but it still offers a number of surprises, both expected and unexpected. 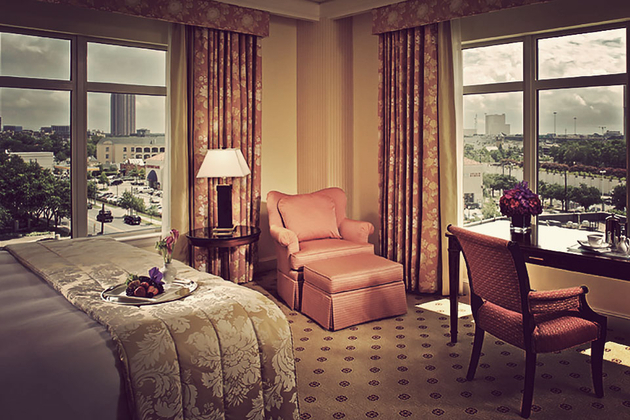 Touches like the world-class Fearing's restaurant, the massive 12,000 square-foot spa, the salon, the largest ballroom in downtown, the Chauffeured Bentley house car, rainfall shower heads, and luxurious beds in each of the 218 rooms and suites. But perhaps the biggest surprise is the complimentary Guacamologist experience at 6 pm every night in the Lobby Lounge, where a seasoned chef will teach you how to make spot-on guacamole while you savor the samples and mini martinis, courtesy of the hotel. Now that's what we call a Happy Hour. 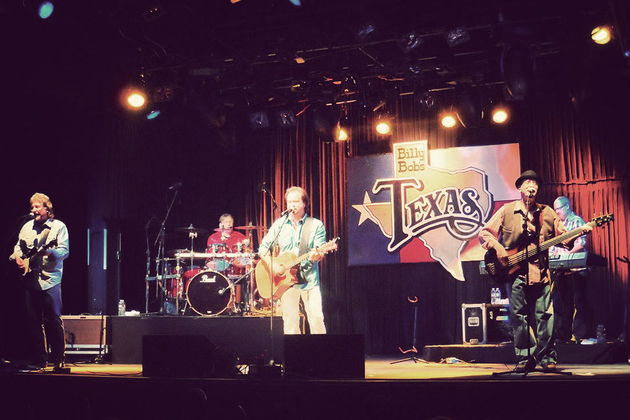 No, that's not a joke — Billy Bob's Texas is a real place. And considering its size — over 11,000 square feet — and the lineup of talent they bring, it's no joking matter, either. This massive multi-functional venue offers a large stage, which has played host to names like George Jones, Willie Nelson, Alabama, Loretta Lynn, and Dierks Bentley, as well as a restaurant that specializes in Southern-style dishes like BBQ'd brisket and ribs, chili, and quail sliders, an arena that hosts live bill riding (! ), a large dance floor, an arcade with plenty of games and billiards tables, and, of course, plenty of spots to grab a cold refreshment. Casual atmosphere doesn't have to mean questionable food. Bolsa proves this point by mixing a fun vibe with great food. The farm-to-table menu may be on the short side, but includes smart takes on classics like bruschetta, flatbreads, gnocchi, and even burgers, as well as a weekend brunch menu that features highlights like chilaquiles, duck fat biscuits, and pastrami hash. The cocktail menu is solid as well, and is perhaps best enjoyed on a hot summer day out on the large, rustic patio — although we're sure the drinks taste just as good when admiring the historic interior. 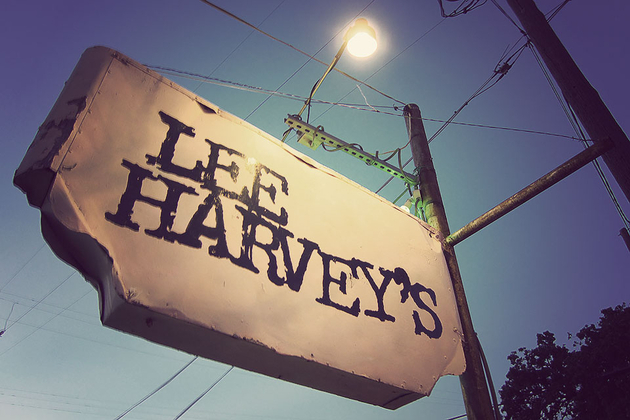 As you can tell from the name, Lee Harvey's doesn't take itself too seriously. Which is good, because on the whole, it's not a very serious place. It is, however, a dive bar of the first order, set in a converted old house with a U-shaped bar serving up strong drinks and bottled domestic beer and small seating area. There's a kitchen that cranks out above-average grub — the $1 fish tacos on Mondays are not to be missed — but the real highlight is the huge, fenced-in back yard/patio featuring a smattering of wooden tables, a porch that serves as a stage, and and plenty of room for your pooch to do some mingling of his/her own. 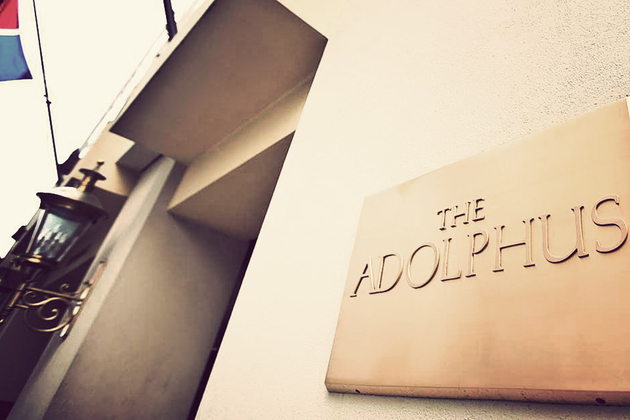 Erected in 1912 and named after its builder — Adolphus Busch — The Adolphus has long been Dallas' premiere place to stay. The 21-story Beaux Arts palace is comprised of 422 guest rooms, as well as multiple meeting rooms, dining and drinking establishments — yes, they serve Budweiser — a fitness center, and the obligatory gift shop. It's also within walking distance of tons of other parks, restaurants, and entertainment venues, making it an ideal spot whether you're in town for business or pleasure.